Beautiful 5-Bedroom Home with Central A/C and Level Yards! Beautiful front and back level yards! This beautiful home with central A/C is a vacation oasis. Nestled in a quiet neighborhood with a large, private, fenced-in back yard yet convenient and centrally located off of Route 6, minutes from from the beach and easily accessed without traveling on busy Rte 28. 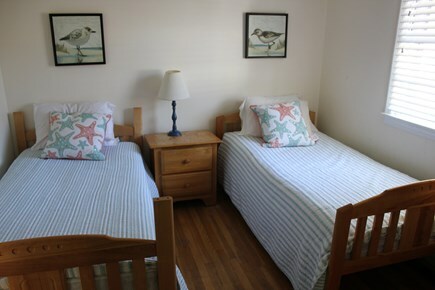 Ideal proximity to all area beaches, island ferries, golf, trampolines, arcades, batting cages, restaurants and shopping, as well as the best mini-golf on the Cape! As beach-weary grown-ups unwind in the comfortably appointed, air-conditioned home or on one of the three private decks, kids can busy themselves with air hockey in the large downstairs playroom or a game of ping pong, badminton, corn-hole or volleyball in the huge fenced-in yard. 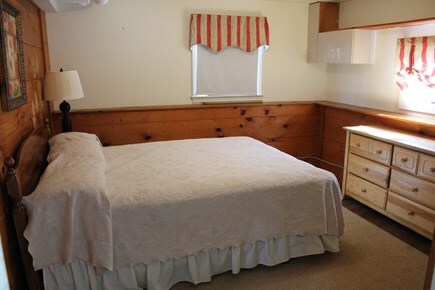 The separate, large bunkhouse boasts cable TV, deck, loft and an outdoor fireplace. There is plenty of space to share with family and friends. We have recently painted most of our home and updated the living room with a new couch and flat screen TV. Simply put, this is great summer rental that’s as close to the all Cape activities as it is to perfect! Standish Beach is a great, quiet beach for relaxing and swimming. On Lewis Bay, 8/10 of a mile from the house at the end of Standish Way. A nice walk or park in the parking area. 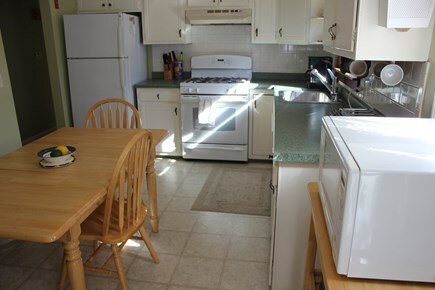 Please contact us for more photos of all of the rooms and yard. Additional availability info: Ask about fishing & golfing. This is a Saturday to Saturday vacation rental. Long-Term Rental (1 month or more): Inquire for special off season rates. Must have references! 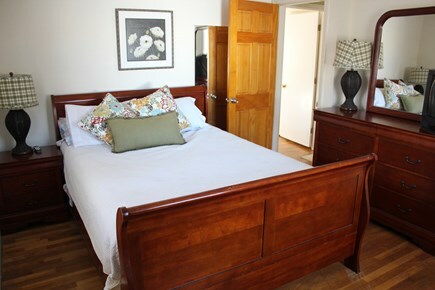 Additional pricing info: Linens can be provided for an additional cost per bed & security deposit is required. State and local taxes of 14.45% will apply. 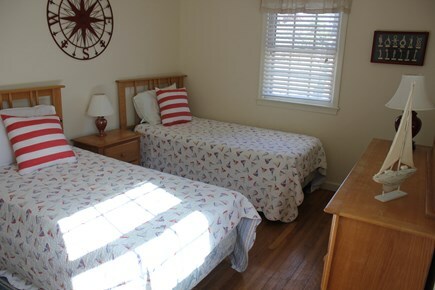 Ground floor bedrooms, bath and family room are wheelchair accessible through private entrance. If you are looking for a great house to rent, this is your rental. We loved this house and its proximity to the beach! The house is clean, spacious, and comfortable. Our family enjoyed the outdoor space and spending time relaxing in the private backyard. The home offered plenty of sleep space for our large family. We were able to relax while having everyone along for the trip. Bill is an exceptional owner and will ensure that you enjoy your trip at his home. It was great to have an owner who made the rental process easy. We will certainly be back next year! If you are looking for a centrally located home close to all the attractions, yet found on a private, quiet street... look no further! Though anxious about our choice of a rental for our annual mother/children week at the Cape, we shouldn't have been. The owner, Bill, promptly and willingly answered any questions we had prior to us confirming our rental. Additionally he maintained just enough contact to feel supported prior to and following our week. The house was as described and easily met the needs of our group with the ages from 4-65. Nighttime yard games, nightly campfire, outdoor shower, super comfortable beds, ample and comfortable seating in the living areas, plenty of parking and central air all added to a wonderful week at this home. What a lovely home - bright, cozy and lots of room for the 11 of us with room to spare. The fenced in yard was wonderful and so large. Close to beach and many activities. Planning on going back next summer. This house is a real keeper! Thank you for allowing us to stay in your home. There was plenty of room for everyone. The young adults especially enjoyed the room downstairs. Nice quiet location. Loved, loved, loved this house! My husband and I rented this house hoping it would be big enough to accommodate our 5 adult children and their boy/girlfriends, and it was perfect. Bill, the owner, was there to greet us when we arrived. He gave us a quick tour, told us about a (short cut) back road that cuts off any traffic that you might hit on Rte.28 and left some of my husband's favorite refreshments in the refrigerator. The house was clean with plenty of room inside and lots of room in the backyard. We are so happy you enjoyed our home; hope to see you again next year! This is the 3rd year that we've stayed at this home in West Yarmouth. 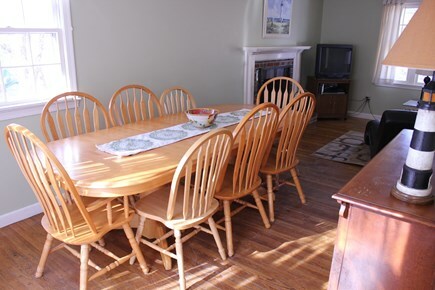 Each year a group of friends rent this home, and it is perfect for our Cape vacation! There is plenty of space, a beautiful back yard with a fire pit, and a short ride to great beaches. The price is extremely affordable, and the homeowners couldn't be easier to work with. Bill even leaves us a case of beer in the fridge to greet us when we arrive. We've been extremely satisfied and that's why we keep coming back! Thank you! We are so happy you enjoyed our home. The house is beautiful; even better than we expected and it is perfect for our family. 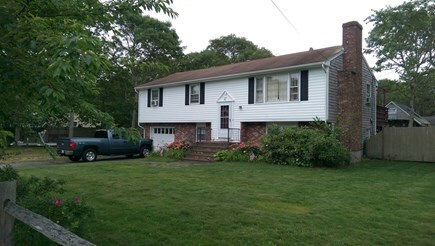 A superb Cape Cod rental! My family rented this property last summer and were extremely satisfied and happy with our experience. 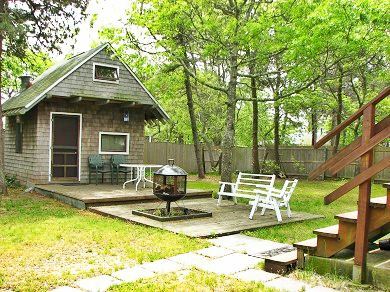 The house is perfect for families with kids as it has a great backyard and is very close to beaches and other Cape Cod activities. I strongly recommend renting this house if you are looking for a great value in the heart of historic and scenic Cape Cod. We are so happy you enjoyed our beautiful home on the Cape and we look forward to seeing you again. We have been renting this beautiful cape house every year for the past 4 and we just love it. It gives us plenty of room to lounge and or relax on one of the outside decks and it is so convienent to the beaches and all the activities the cape has to offer.